As you will see I will use the tools listed in my essential toolkit. I always recommend Coda, Sequel Pro and MAMP to all developers. These two tools will have you developing at light speed. 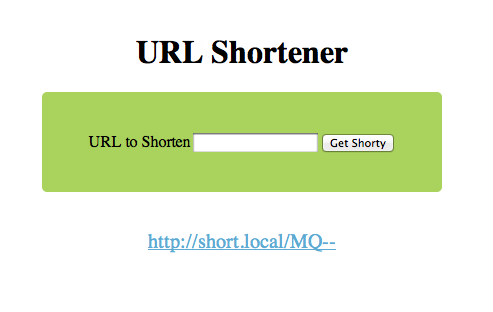 There is also an error_404 for when the shorten URL cannot be found. Unzip the package, rename the folder to short_url (or whatever), move the folder to your Sites directory (whatever that may be on your system). We will use MAMP to setup a local URL (e.g. short.local). Now that we have the environment setup we will update the configuration settings for CodeIgniter. This is a massive time saver of CI. This will allow CodeIgniter to display you URLs without the “index.php?”, once we update the config.php file. We will configure our setup by updating the files in the Application->config folder. The autoload.php file calls the scripts to load every time there is a request to the application. It is really good for things like session and database libraries which 99% of the time you will be using. However this means these are loaded every single call and use processing power and time. In this case we will be almost always using the database and form_validation libraries and the URL helper so we will auto load them. Now to the most critical part of the application, the routes file. routes.php (application->config->routes.php) will use a little hack to circumvent the way URLs and controllers normally work. That is it for our configuration. Pretty simple stuff. if($this->input->post('url'))//did the user post a URL to be shorten? All in all pretty simple and very lean. I find a lot of the CodeIgniter tutorials put too much business logic in the controllers reducing the the code reuse and make it harder to consistently enforce business rules across the entire application. The main thing to remember is a controller meant to just instruct everyone on what to do, not to do any heavy lifting. Store the long URL -this validates the input from the user, inserts the long URL into the database, masks the ID of the record and returns it to the controller. Retrive the long URL – decodes the ID and searches the database for the ID and if it cannot be found return the 404 link. 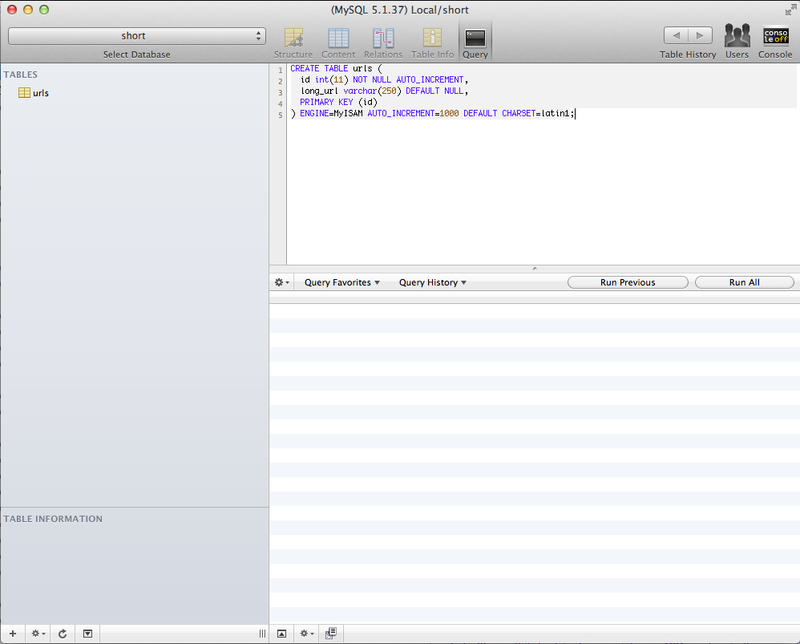 hi little improvement in logic check in database if long url already exist give only code otherwise insert in database. I may be wrong ( not an expert) but encoding with the default php base64_encode function in the model will produce a very large sequence if the number is greater than 4 digits, and for the shortning sake that won’t be good. ex. echo str_replace(‘=’,’-‘, base64_encode(9999)); will produce OTk5OQ–, and the same code with 999999 will produce OTk5OTk5 and so on… We need to assume that the number of URL to be stored could be bigger that 9999, in fact it would go beyond 11 digits, which would produce OTk5OTk5OTk5OTk- as a “short” url. But again.. not an expert.